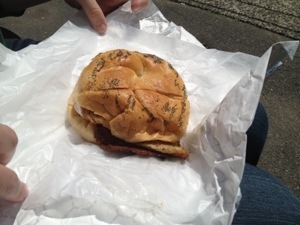 I never thought I’d have this sandwich again without a visit to Arthur Avenue in the Bronx, New York, but I did yesterday at Art’s Delicatessen in Westport. Imagine a fresh hardroll with thinly sliced eggplant, fried just right so it isn’t too greasy, but just greasy enough (if you know your eggplant, you know this part is important). Now add roasted red peppers and fresh mozzarella. A good amount of mozzarella, no skimping here. 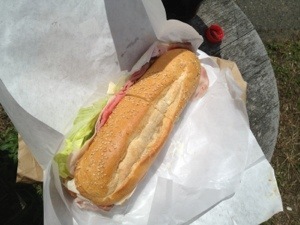 Add a little extra virgin olive oil on top and you have, what I consider to be, one of THE BEST Italian sandwiches. 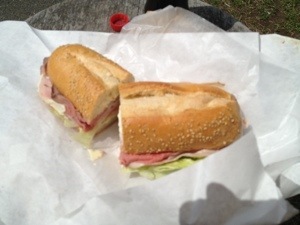 This is the sandwich I had yesterday at Art’s, one of my favorites sandwiches and one I used to eat often on regular visits to Arthur Avenue delicatessen over the past few years. The sandwich I’m raving about was on Art’s specials board yesterday, but we were told that if you don’t see something on the menu, you can always build your own sandwich. 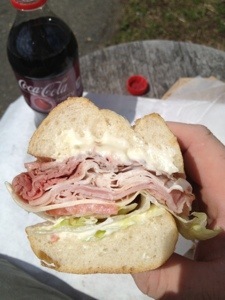 My husband chose a sandwich featured on the regular menu, the American Combo with turkey, roast beef, ham, cheese, lettuce, tomato, and mayonnaise. 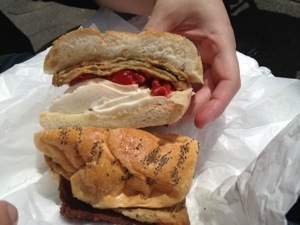 He was a fan of this sandwich and said he would absolutely order it again because not only was it delicious, but it also had the right amount of fresh ingredients that make a “solid deli sandwich”. When he ordered another customer who was ahead of us said that was a great choice and a sandwich he often orders himself. 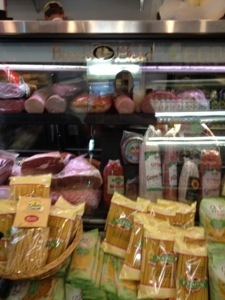 Art’s is a small deli, but as soon as you step inside you feel like you’re stepping into a friendly neighborhood deli. 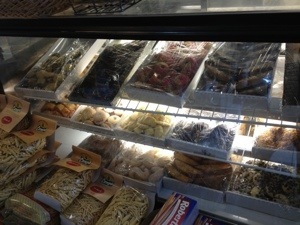 My biggest challenge was what to decide to order because everything looked and smelled delicious! 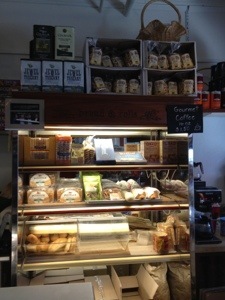 The staff was very friendly and very willing to help make suggestions. What else do I like about Art’s? 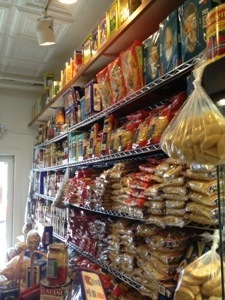 Art’s also has a large assortment of pastas, sauces, salads, and cheeses to choose from. 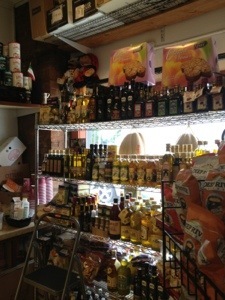 There is one other Arthur Avenue-style deli I like to frequent regularly in Connecticut (post to follow soon), until now. 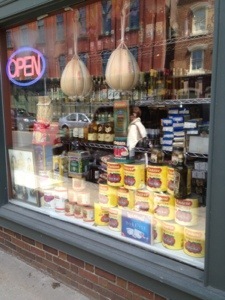 Now I have two favorite Italian deli’s in Connecticut. 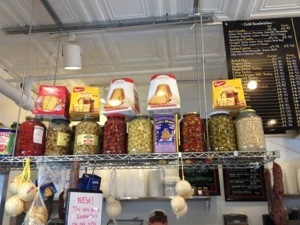 Art’s Delicatessen is a must-try, as in you should go there today. Art’s doesn’t have its own website but you can read this great write-up featured on CTBites and read some great reviews here on Yelp.